It's easy to forget who needs which vaccine and when. Use this list to help you get ahead of it all. Take note: You can get vaccinated even if you have a mild illness like a cold. Focus on reading a book. “Numb” your arm with an ice pack. Use a ShotBlocker (bionix.com, $6), a plastic device placed over the injection site to dull pain perception. Td booster (tetanus and diphtheria toxoids). Getting it at an age that ends in 0 or 5—like 35 or 40—might help you remember when the next one is due. Two doses of RZV (recombinant zoster vaccine) two to six months apart to prevent shingles. One dose of PCV13 (13-valent pneumococcal conjugate vaccine) plus one dose of PPSV23 (23-valent pneumococcal polysaccharide vaccine) at least a year later to prevent pneumococcal diseases. 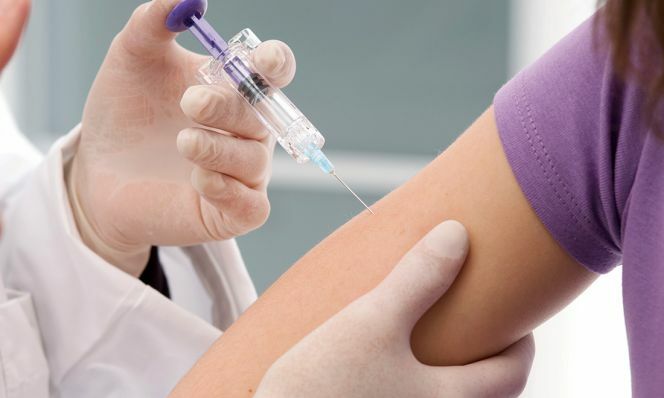 Only 64% of parents know when their teen is due for their next vaccine, according to a University of Michigan poll. Unlike when kids are younger, doctors won’t always remind you to make vaccination appointments. If unsure, ask your pediatrician and set a reminder on your phone’s calendar. At any trip to the doctor’s office! Scientists are creating vaccines that prevent opioid abuse by teaching the immune system to target opioids and keep them away from the brain. Recently, a nasal spray vaccine limited or prevented allergic reactions in mice with peanut allergies; one day it may work in humans. Researchers are starting to take cells from a patient’s own tumor to make a vaccine that provokes a bigger immune response than widely used cancer vaccines.